SANTA CRUZ, Calif. (CN) – About 50 people waited outside KindPeoples marijuana dispensary just outside downtown Santa Cruz, California, before dawn on New Year’s Day. Despite the early hour on a day where sleeping in is typical, they came to celebrate the first day of legal recreational marijuana sales in California. “It’s the end of Prohibition,” said Khalil Moutawakkil, a co-owner of KindPeoples, to enthusiastic applause. 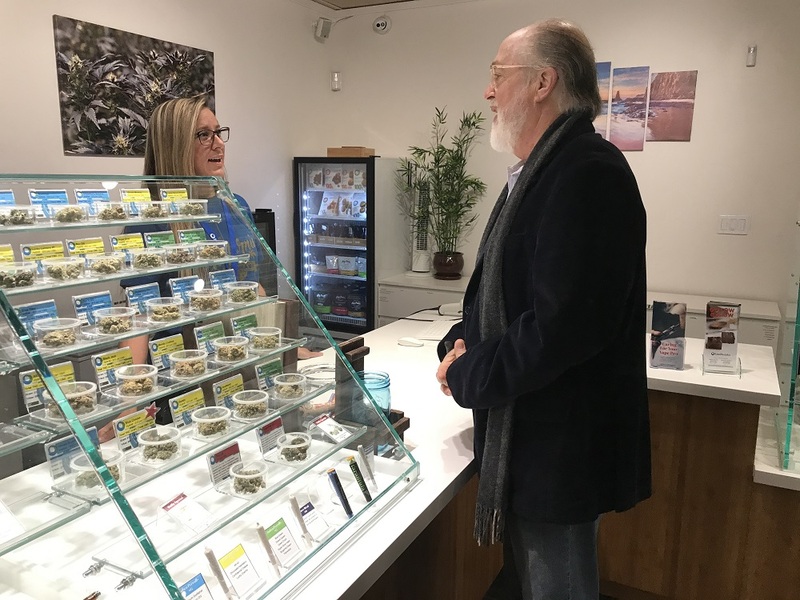 The honorary first purchase was made by Craig Reinarman, a retired sociology professor from the University of California, Santa Cruz, who taught a class for many years about America’s drug policy and its negative impact on society. “People confuse use with abuse,” he said. Such confusion has led to unnecessary criminalization of individuals who use marijuana and subsequently crowded jails, struggles with employment and even impacts on how people can obtain public housing. “To see it rolled back is an encouraging sign,” Reinarman said. The former professor said he often told his students legal marijuana would not happen in his lifetime but would occur eventually, probably in theirs. “It’s come about faster than I imagined,” he said, adding society must proceed carefully with legalization while investing in research about marijuana and its effects on human health and behavior. Many customers expressed jubilation about the years of marijuana advocacy and what they hope is a reduction in the public stigma surrounding the drug. 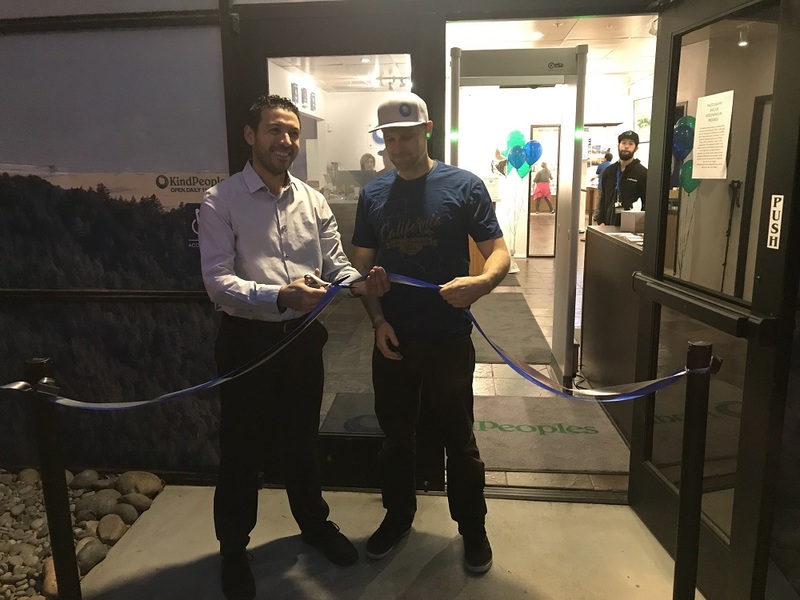 “It’s a wonderful experience being here,” said Toby Edwards, who arrived at the dispensary at 5:30 a.m. for the opportunity to be one of the first in line. Edwards, a Santa Cruz native, journeyed from his current home of Florida to be present for the first day of legal recreational marijuana sales in California. While Santa Cruz’s reputation as a hippy enclave makes it a natural place to celebrate legalization, dispensaries throughout California – from the little beachside village of Sebastopol to giant San Diego – opened their doors. But President Donald Trump’s administration, particularly Attorney General Jeff Sessions, have indicated opposition to the legalization trend. Marijuana remains a Schedule 1 controlled substance under federal law, making it tricky for California businesses to use traditional banks for their businesses. But legalization is not without its critics, even outside the White House. Critics say legalization leads to increase in availability for young people, pointing to studies showing kids fare worse in school and are less likely to graduate from high school if they use marijuana. Increases in traffic fatalities, hospitalizations and marijuana poisonings especially from edibles also accompany legalization, critics maintain. However, proponents say these issues, to the extent they exist, are offset by the enormous boon to criminal justice reform. They point to studies that show access to marijuana correlates to lower rates of opioid use and overdoses – the leading cause of death in Americans under 50 years old in 2017. “The vast amount of people who smoke marijuana present no trouble to society,” said Reinarman, adding that legalizing, regulating and studying cannabis can only lead to a greater understanding rather than blanket prohibitions. And then there are the economics. Santa Cruz County Supervisor John Leopold said the county has been a leader in permitting the use of medical marijuana and taxing it. Medical marijuana provided a $3 million boost to county coffers last fiscal year, a figure that could grow to as much as $5 million with the legalization of recreational marijuana, Leopold said. Statewide, legal weed is expected to eventually generate $1 billion in tax revenue on an annual basis. 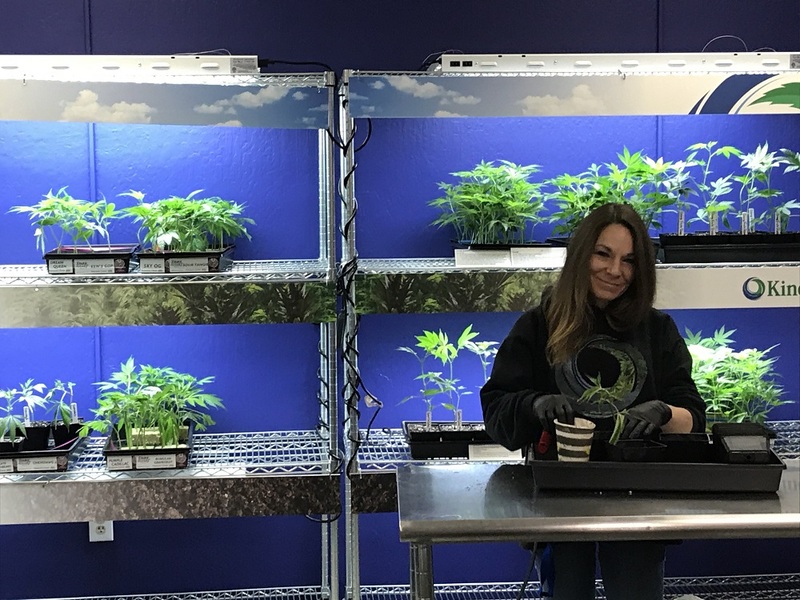 But Leopold said the next step for local jurisdictions is to regulate the cultivation of marijuana to ensure grow operations are performed in an environmentally sensitive manner. Pushback by law enforcement groups center on illegal grow operations on public lands, the use and abuse of rodenticides and other poisons that harm wildlife, and even indoor grow operations with faulty wiring that can lead to house fires and other public safety issues. “We want it to be ecologically safe, so our job is to develop reasonable rules,” Leopold said. With recreational pot now legal to purchase and use statewide, the Los Angeles Police Department warned Angelenos to enjoy marijuana responsibly and vowed to be on the lookout for residents using marijuana in vehicles or public places or selling products to minors. 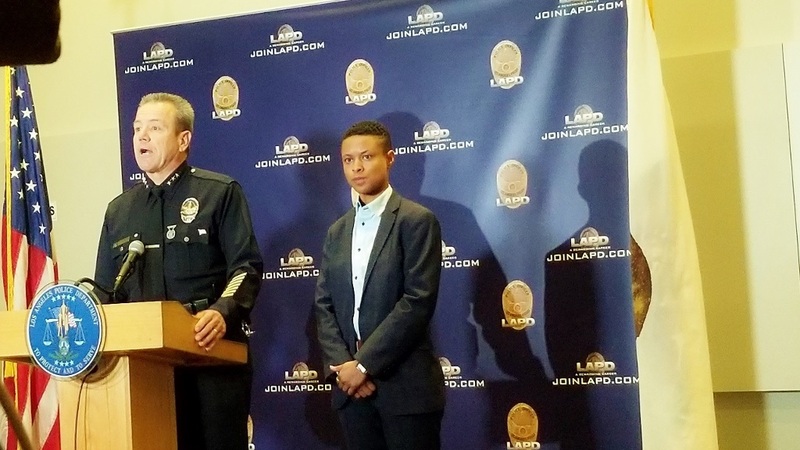 At a Tuesday afternoon press conference in downtown Los Angeles, First Assistant Police Chief Michel Moore and head of the city’s Department of Cannabis Regulation, Cat Packer, both acknowledged legal recreational marijuana will pose challenges for law enforcement and city officials. LA will begin processing marijuana business applications on Wednesday, so at this time no retail outlets exist in the city. Packer said she expects the first businesses to open with temporary approval from the city within a week. Rather than open the flood gates on recreational marijuana, the city will slowly open the tap for businesses that receive approval. City officials have been vocal prior to adopting the marijuana ordinance to avoid a repeat of neighborhoods being saturated with medical marijuana dispensaries, which prompted a 2013 law to scale back those businesses. Marijuana dispensaries currently operating in the city that are compliant with local zoning codes will receive top priority for licensing. The Los Angeles Police Department will assist the Department of Cannabis Regulation in those application reviews, which also require state approval. The city estimates approximately 390 recreational marijuana businesses will be licensed when the whole process is done, but there was no firm timeline provided. Acknowledging the city was slow to the punch with starting the application process for businesses, Packer noted LA will be the largest recreational marijuana markets in the nation and had to get it right. The city launched its website, cannabis.lacity.org, for more information. In the meantime, recreational marijuana can be purchased in nearby West Hollywood and Santa Ana. Moore said training is being provided to LAPD officers and his department is looking into field sobriety tests that can scientifically record marijuana use.